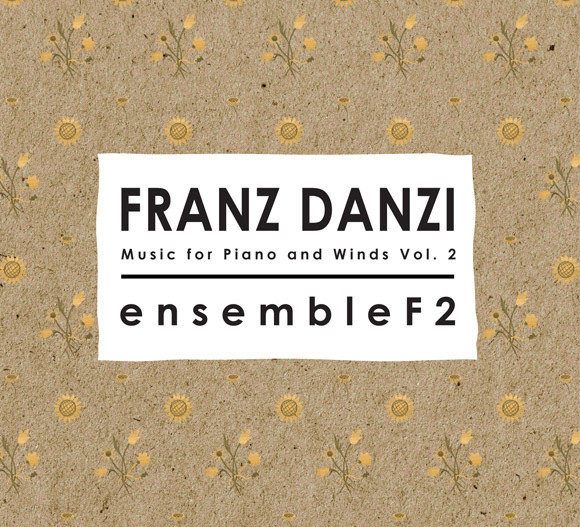 The artwork for “Franz Danzi: Music for Piano and Winds Vol. 2” is based on original painted decorations on the Lucien-Joseph Raoux hand horn used in the recording. Although somewhat obscured by age, sunflowers, thistles and daisies are visible entwining themselves around the bell of the instrument, lacquered in heavy gold paint. The disc’s sister release “Franz Danzi: … Vol. 1” featured the brass decorations on the nineteenth century Johann Fritz fortepiano, also used in the recordings. Each of the CD releases on Devine Music features artwork designed especially for the project by Illustrator Emma Jane Semmens.